Interested in buying to let? Looking to expand your property portfolio? 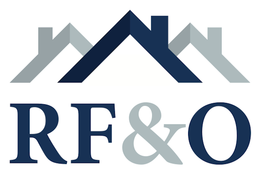 RF&O can offer exclusive market advice and guidance to help you achieve your goals..
We have helped and advised many people to secure a second home or add an additional property to their expanding portfolio harnessing our local knowledge and expertise. Property is still considered one of the more reliable forms of investment over the longer term period and faith in the market continues to grow, especially in the East Midlands. More homeowners are realising the lucrative nature of buying a rental opportunity. Whatever the reason for your investment, it pays to be properly informed to determine the type of return you can expect in any given period. There’s no substitute for an established agent operating in your proposed area whose advice will prove invaluable when checking property prices and rental yields. RF&O can provide insight into areas of interest and where other investors are buying low to sell high in the future, so you can enjoy the benefits of a good investment. Please see our Bespoke Services Page for more in formation on our Buy-to-Let Advisory Service and how RF&O can help you be a buy-to-let success!